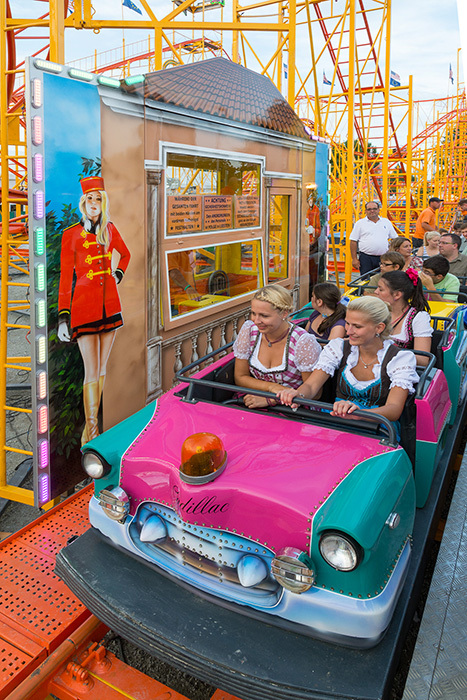 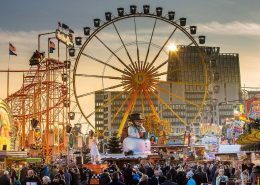 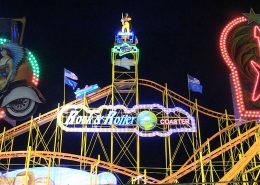 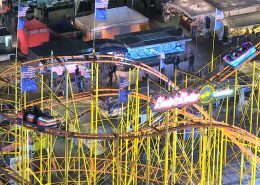 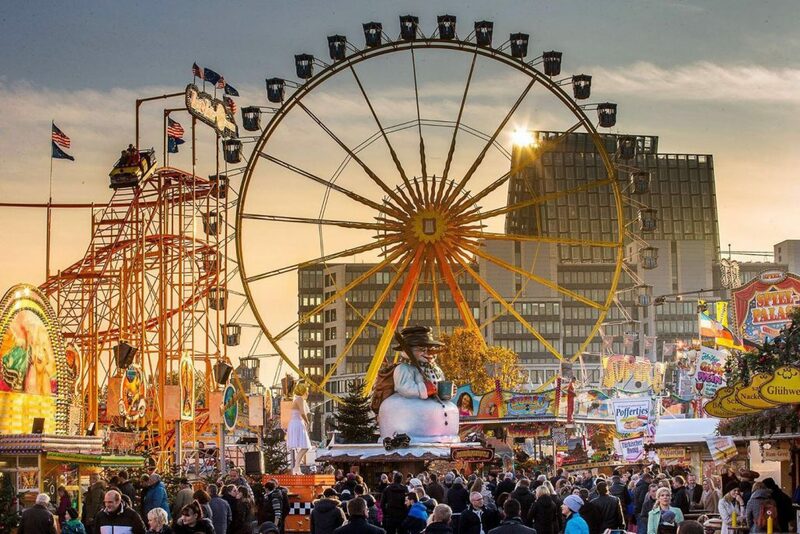 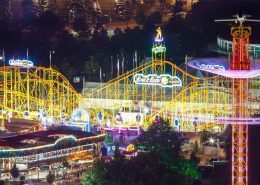 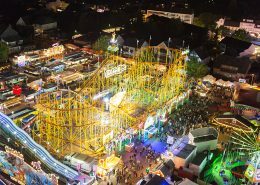 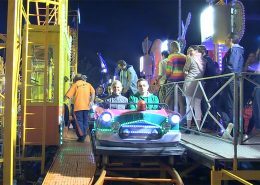 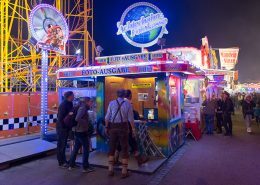 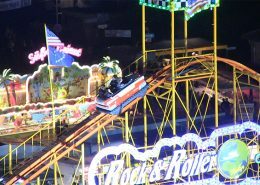 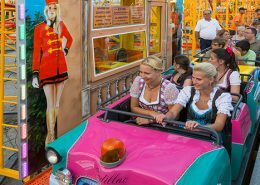 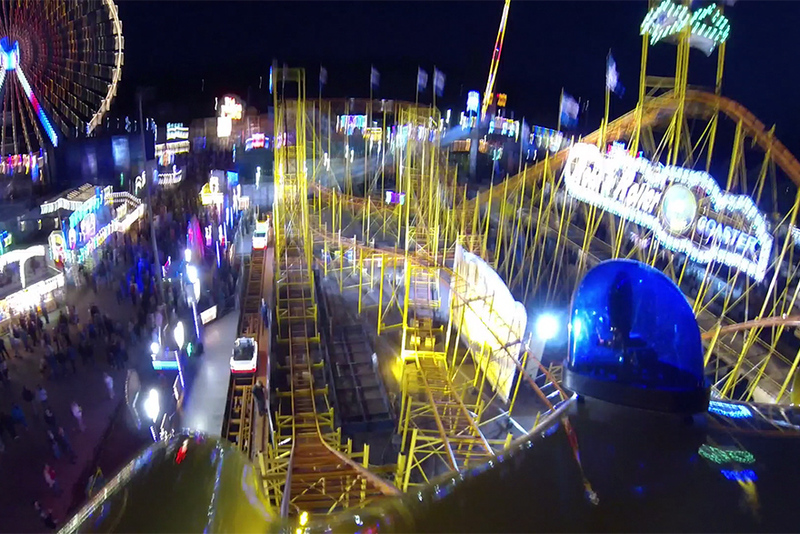 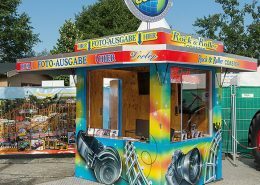 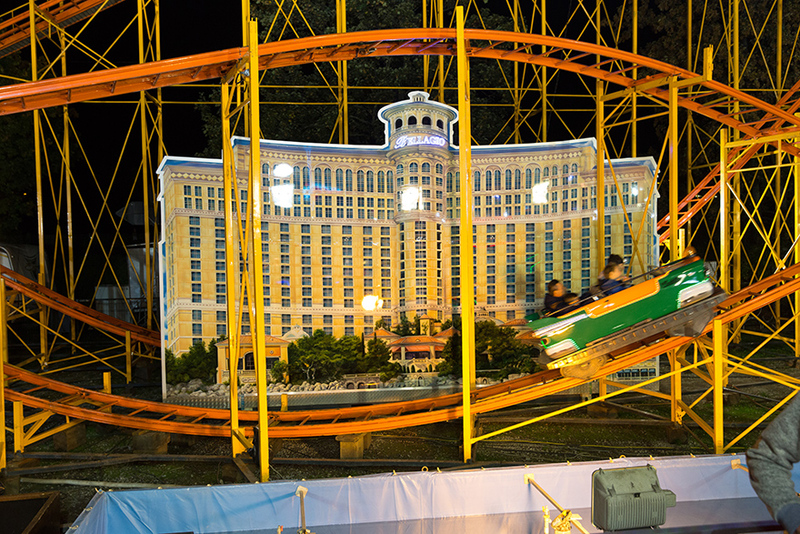 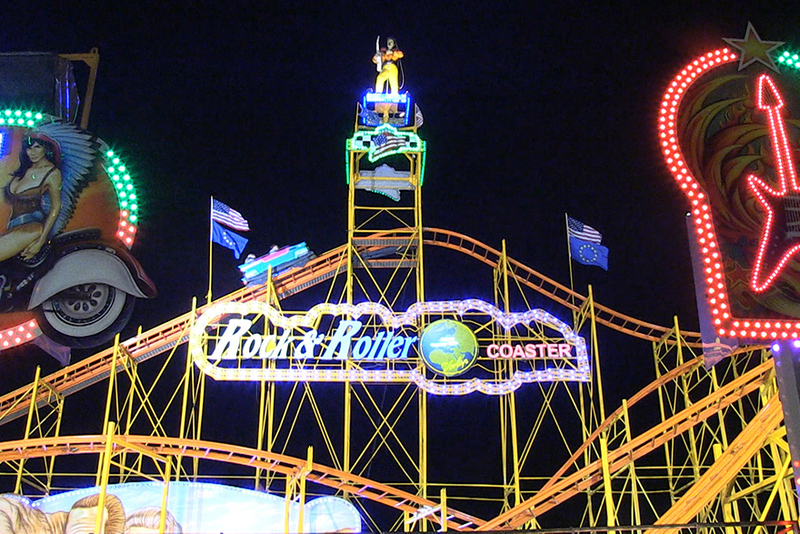 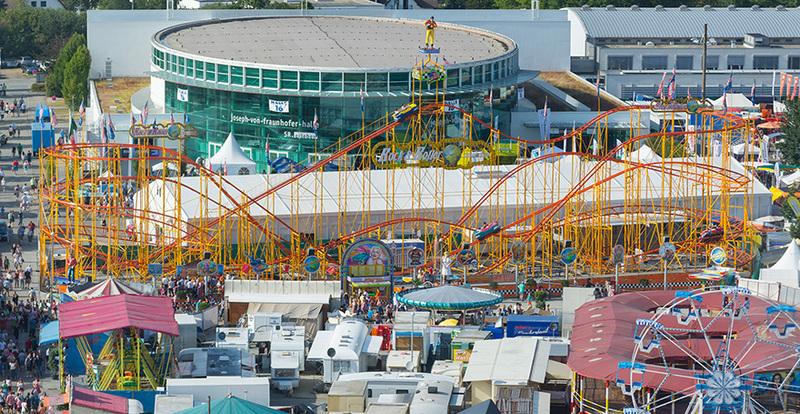 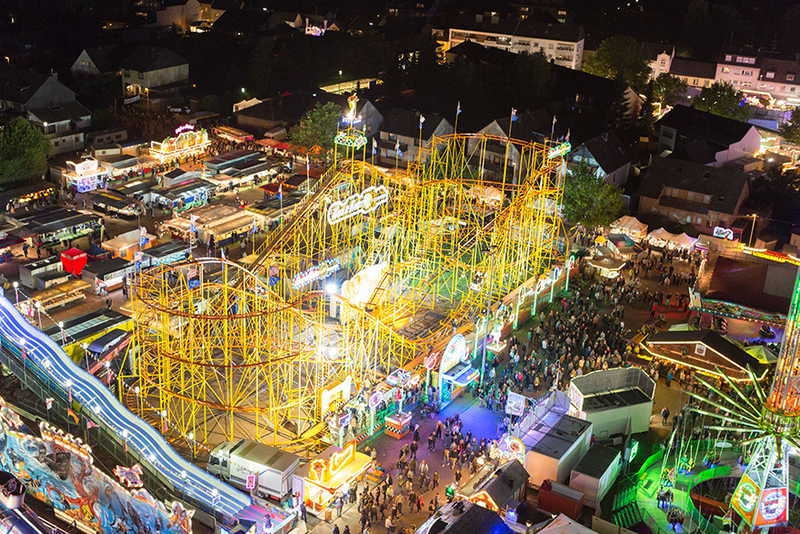 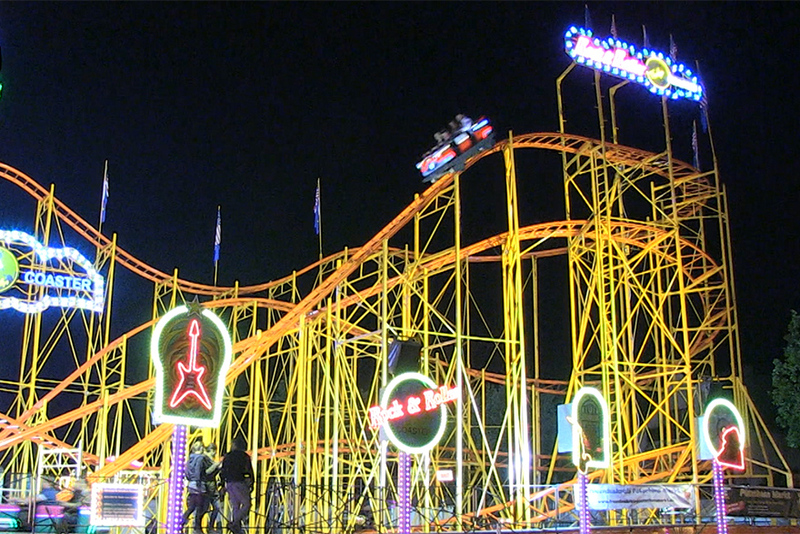 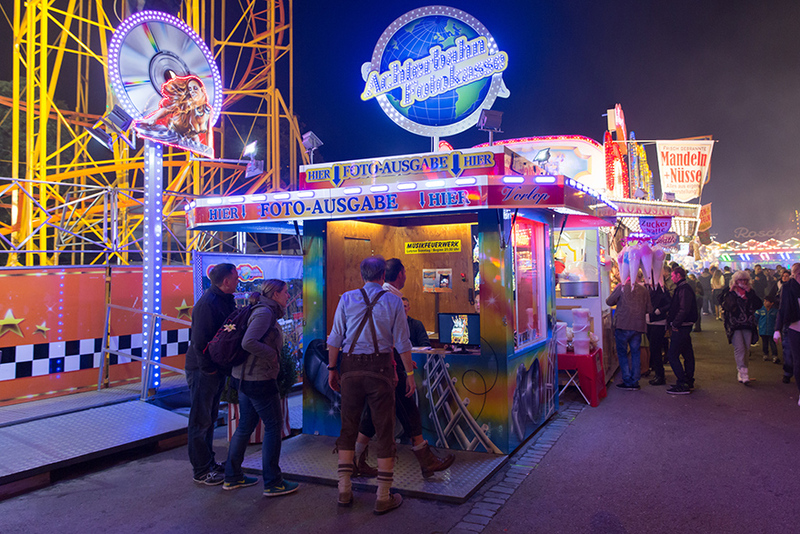 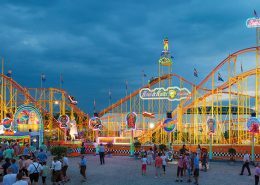 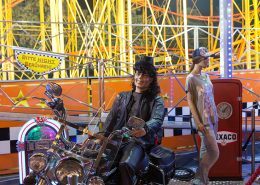 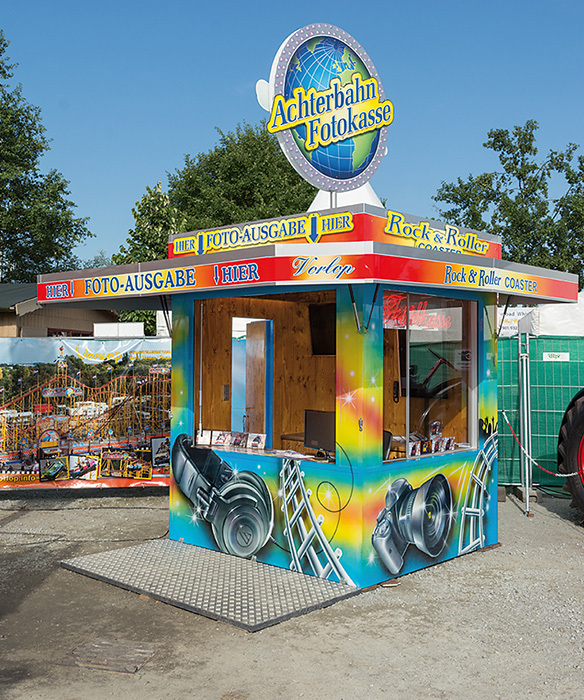 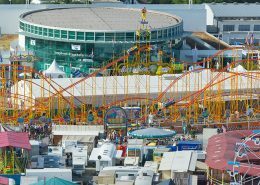 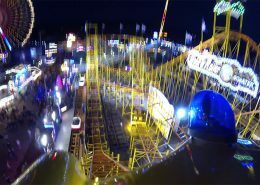 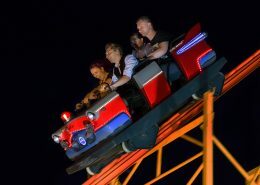 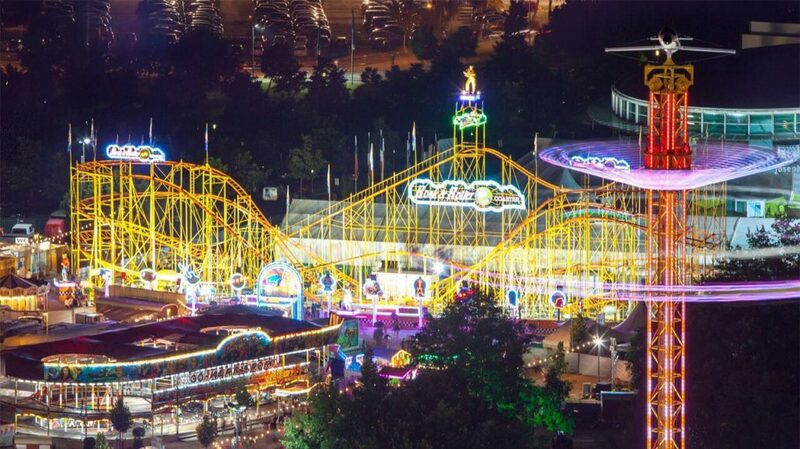 Germany’s largest mobile roller coaster with individual cars. 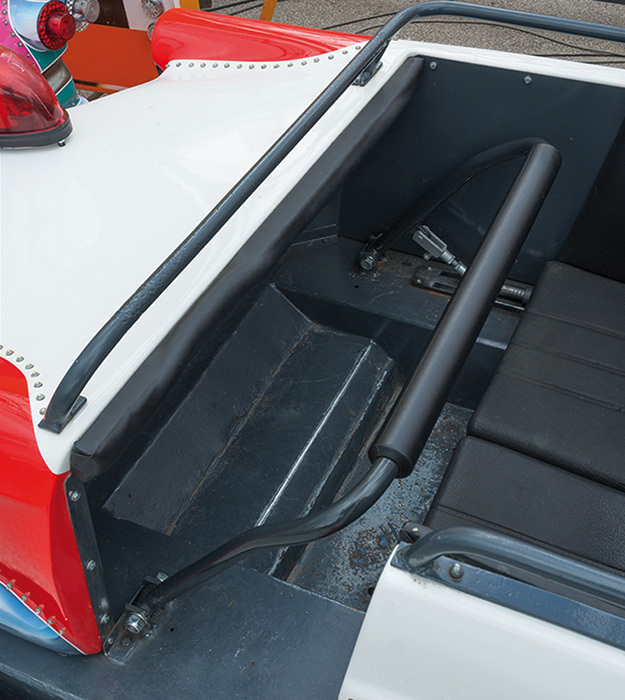 In May 2014, in accordance with the latest standard DIN EN 13814, the 8 Chevrolet cars, each with space for 4 people, were equipped with a new safety bracket system. 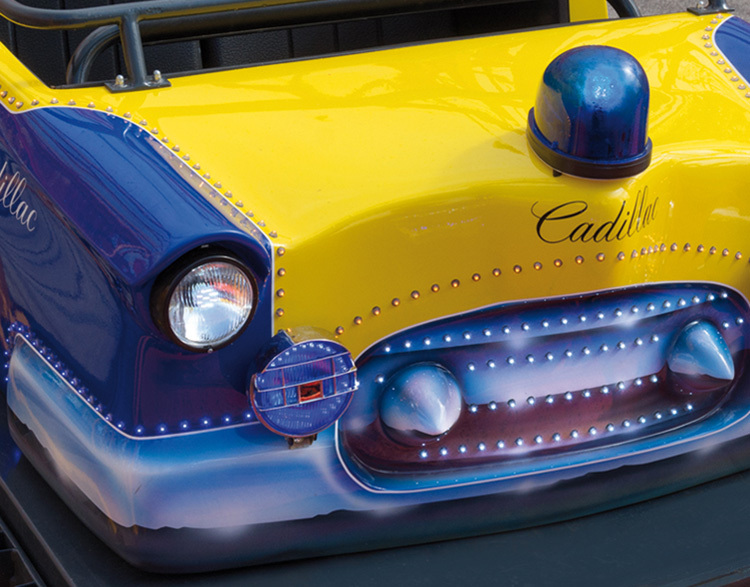 All cars were repainted and equipped with attractive LED lighting. 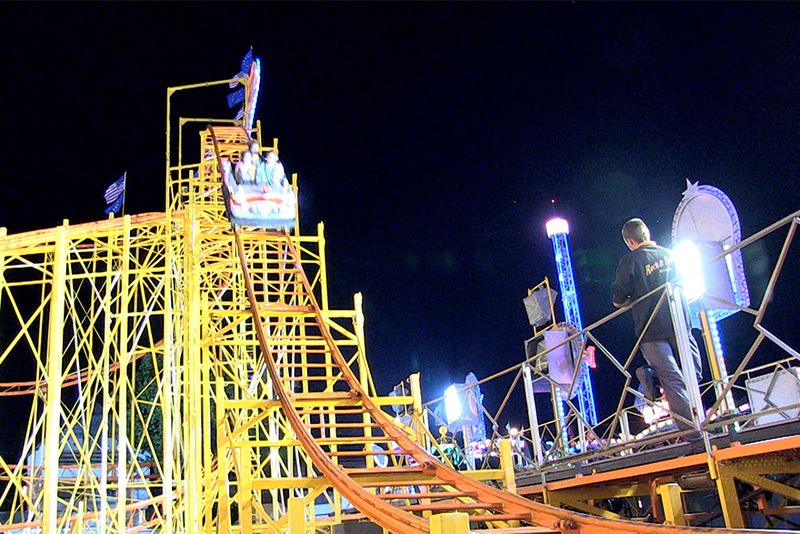 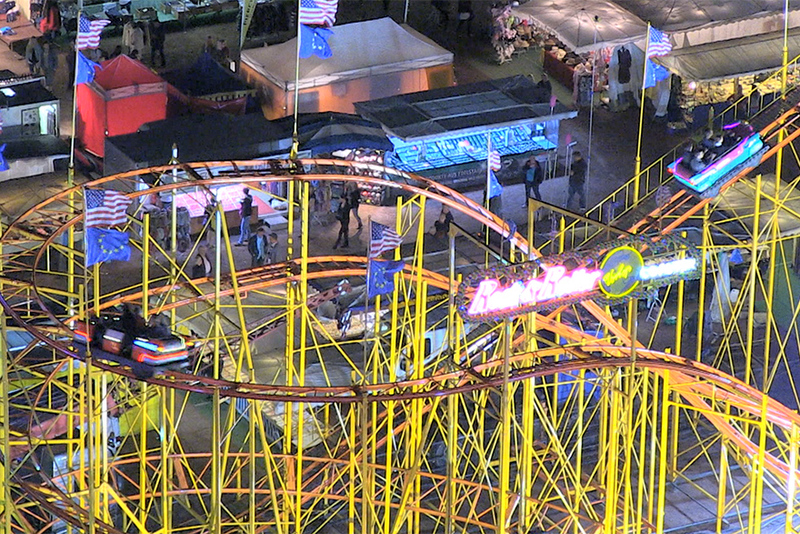 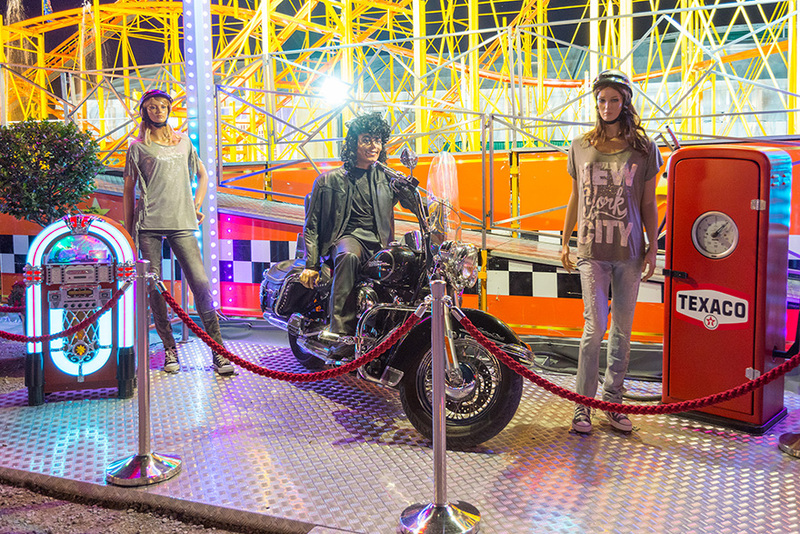 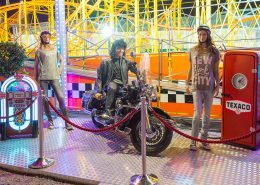 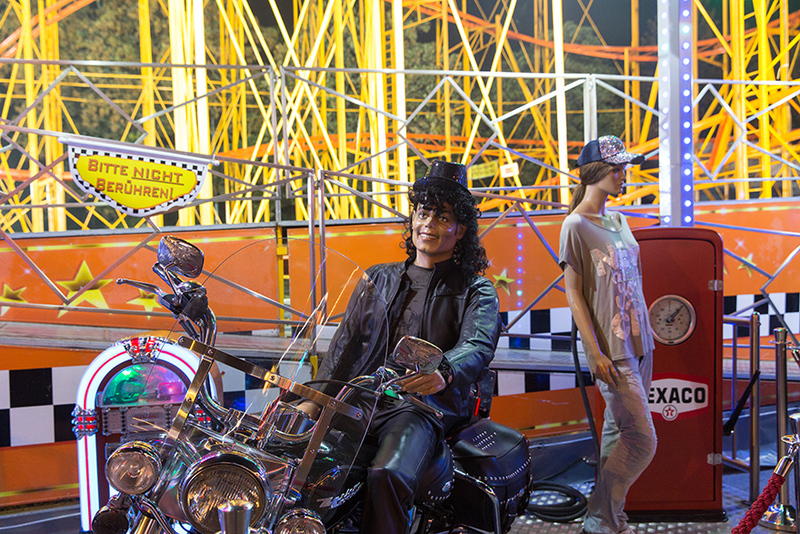 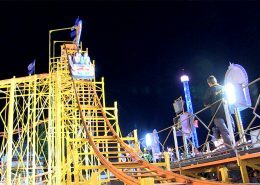 The chain lift takes riders to a rail height of around 20 meters. 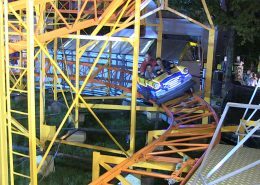 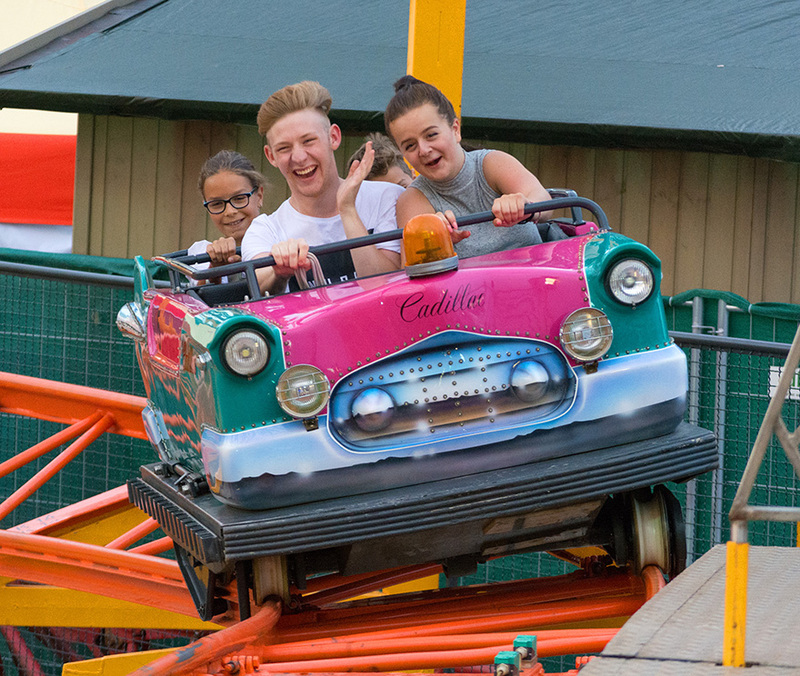 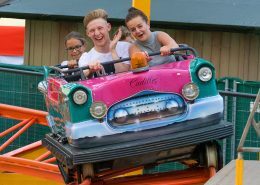 This is followed by a spectacular First Drop and a fast and thrilling roller coaster ride – without loops – over nearly 1000 meters of track. In 2012, the carriages were replaced and the supports and rails of the entire roller coaster were sandblasted and freshly painted. 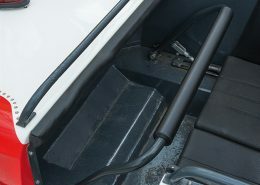 Secure operation is ensured by a 6-block safety braking system. 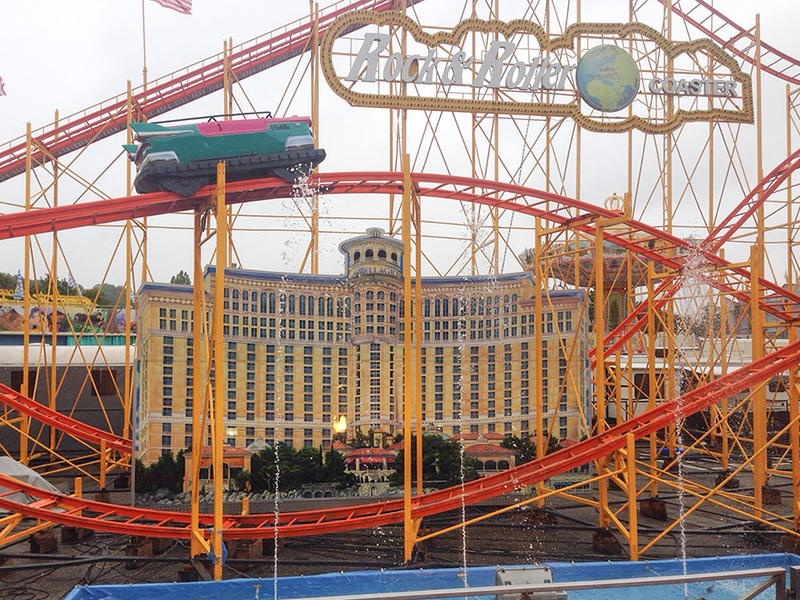 The Rock’n Rollercoaster has an automatic braking system. 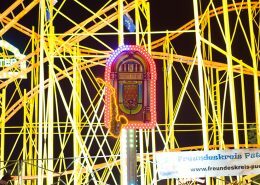 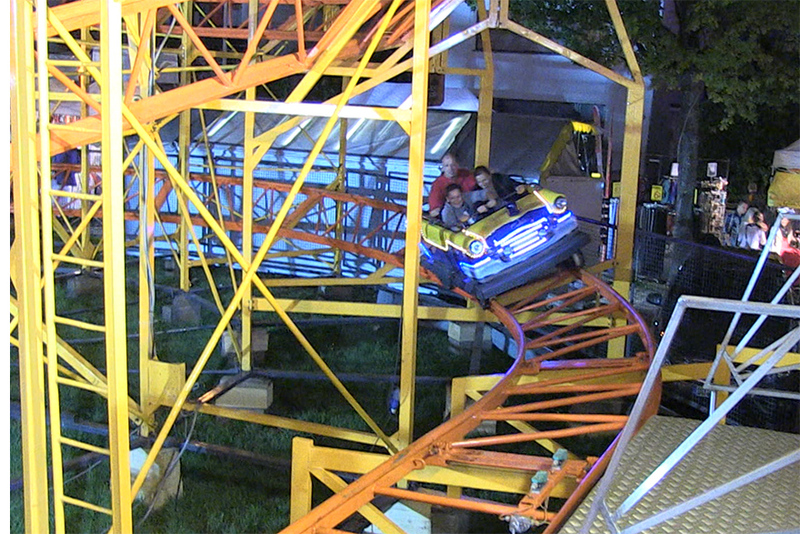 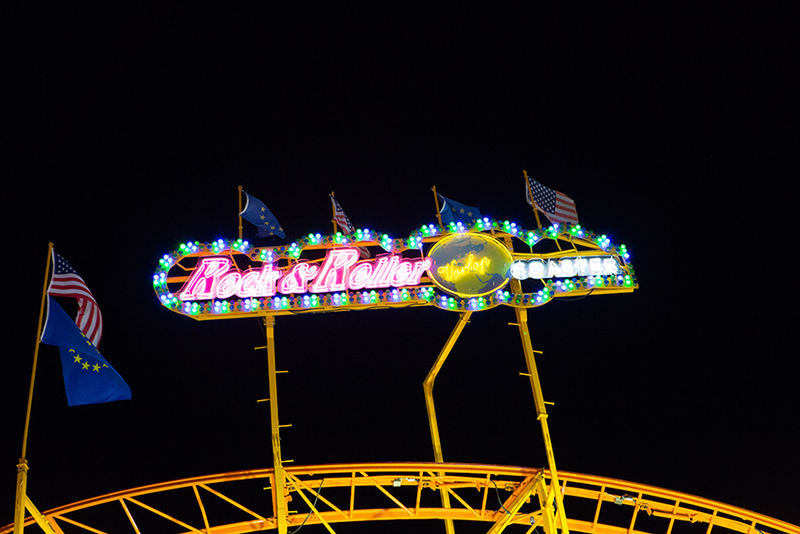 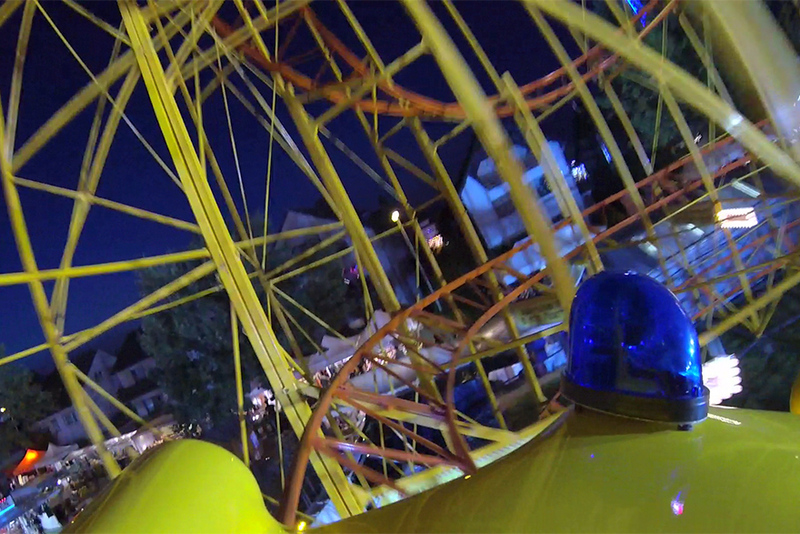 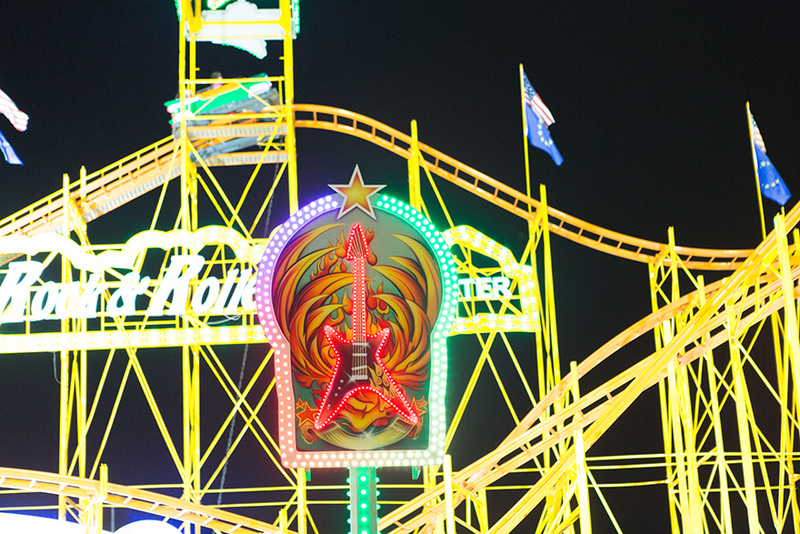 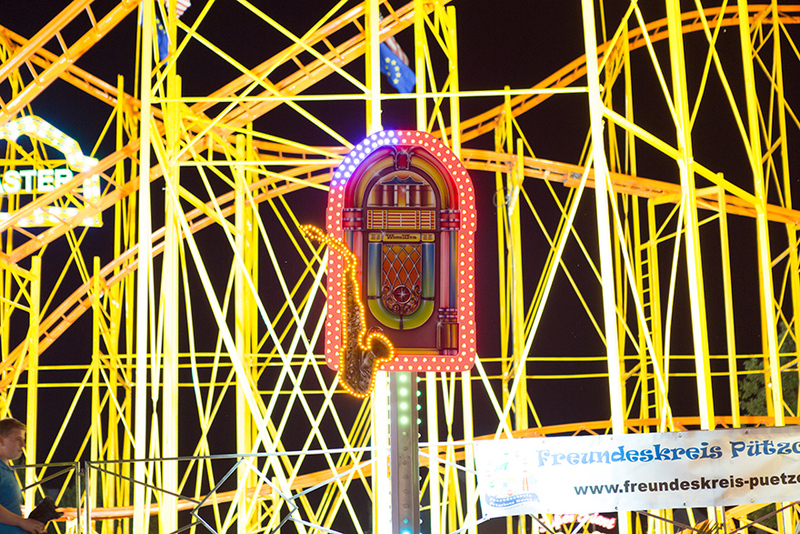 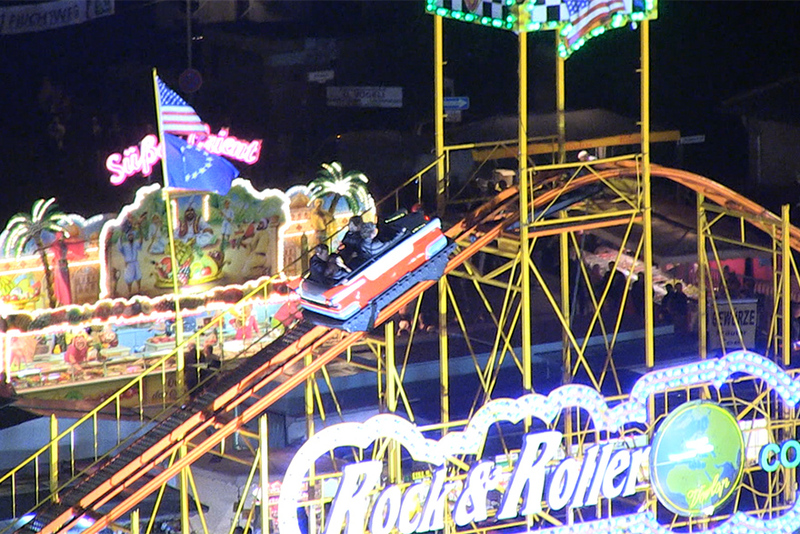 Along with the new safety bracket system, this was retrofitted by the German roller coaster specialist Gerstlauer. 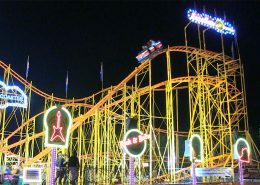 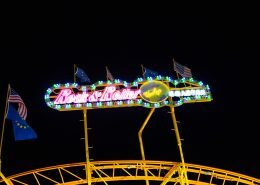 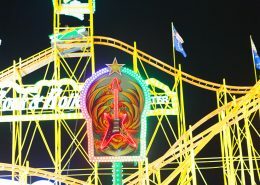 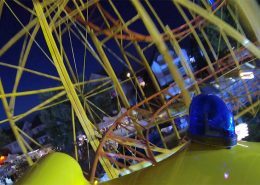 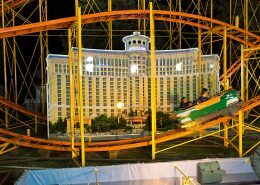 The width of the roller coaster is 65 meters, the depth is 22 meters. 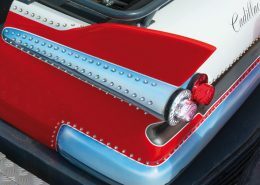 It is also possible to have the shorter side as the front. 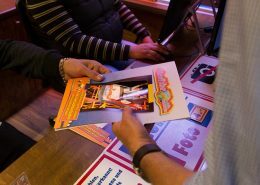 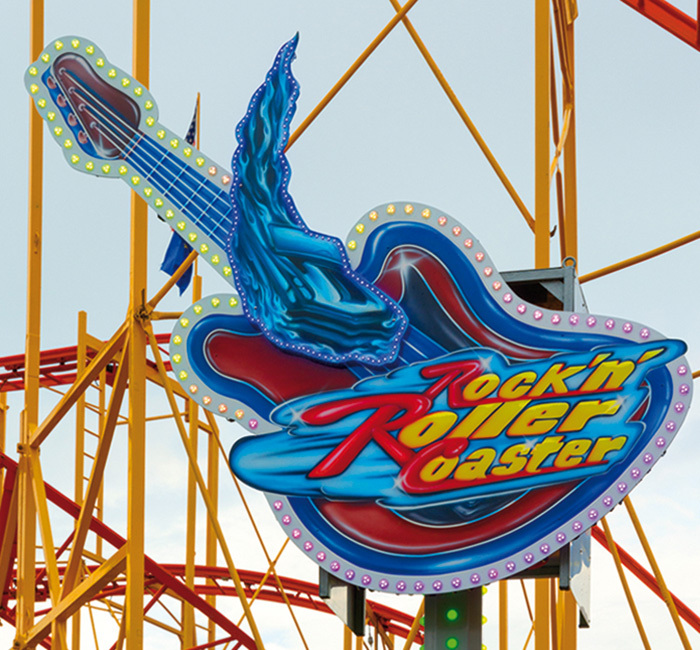 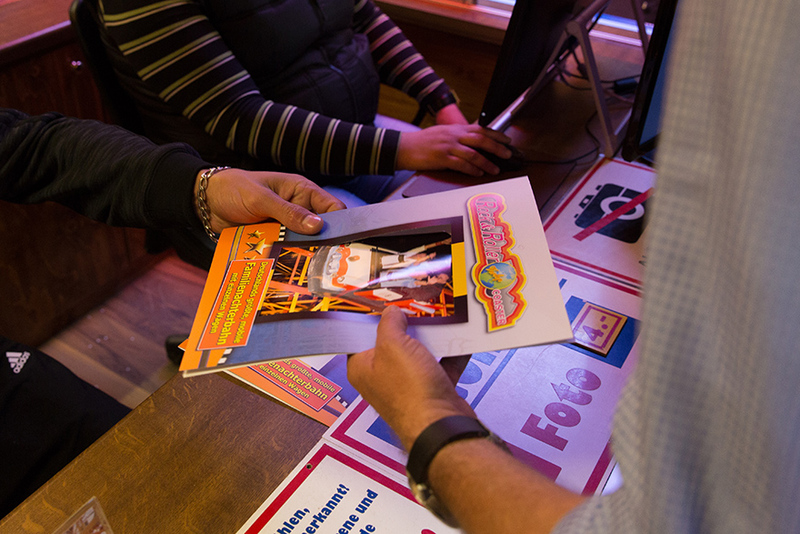 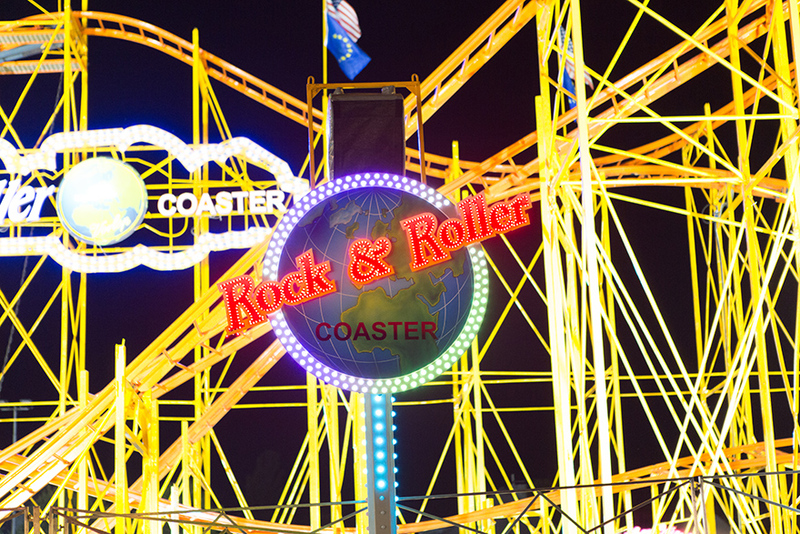 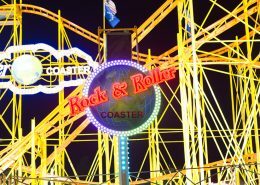 The Rock’n Roller Café is designed in the style of the Rock’n Rollercoaster and is available on request. 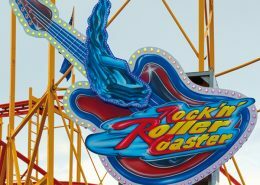 The Rock’n Rollercoaster features energy-efficient drive technology and uses energy-saving and highly effective LED lighting. 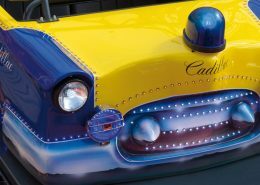 The attractive new decorative elements along the front illuminate with their fresh, themed designs.